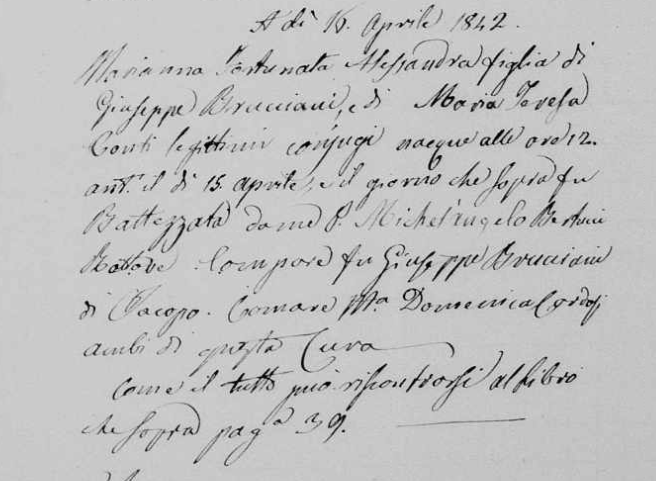 Baptised Mariana Fortunata Alesandra Brucciani, sister of Eletta Brucciani Quilietti. 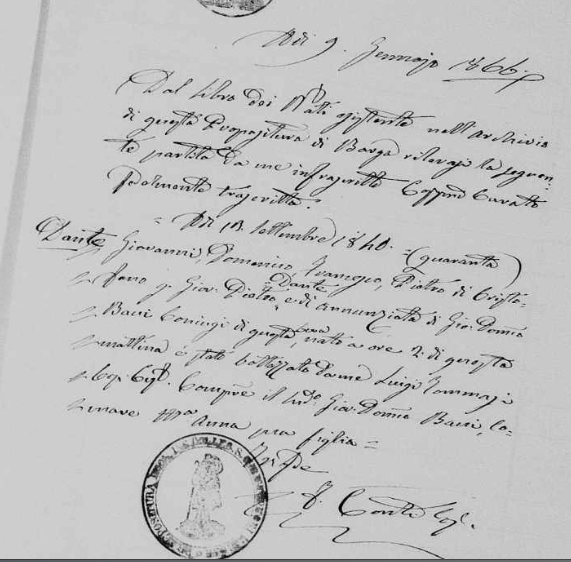 Amelia was born in the year 1842 in Castelvecchio Pascoli. She married Francesco Dante who was also from the same village. grave in Pawtucket 1992″] For whatever reasons they decided that their destiny would be in America and we know from the yearbooks that they were there in 1882. 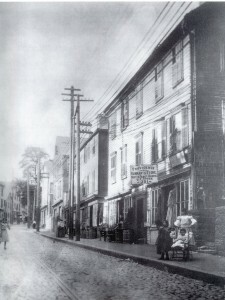 Immigration was not yet on the grand scale it was to become over the next 50 years and there were relatively few Italians in Providence, Rhode Island at this time. Ellis Island did not open her doors until 1892. 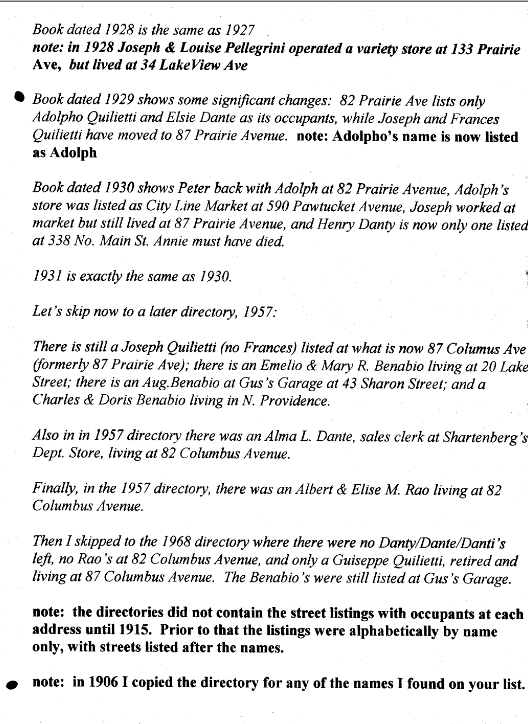 We know that they started up business as Fruit merchants very early on in the town of Pawtucket. They had three surviving children to our knowledge and perhaps more. 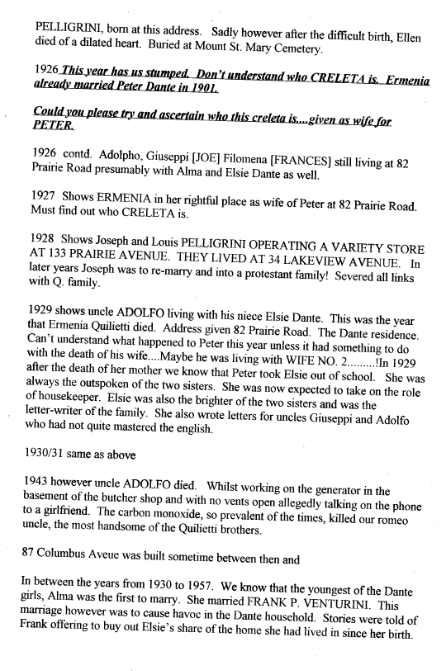 There was Pietro who married his first-cousin Ermenia Quilietti. 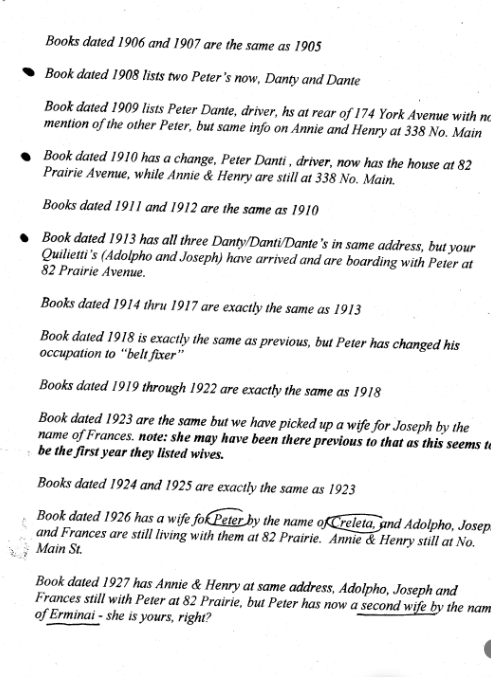 They married in Rhode Island in 1901 and settled in Pawtucket There was Henry born in 1880 and who died in 1945. 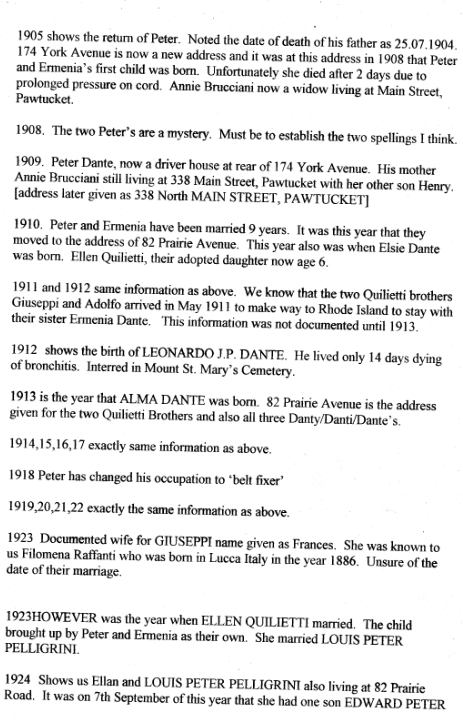 He also settled in Pawtucket There was Annie born in 1882 and who married into the Aurielo family. We believe she also lived in Pawtucket. 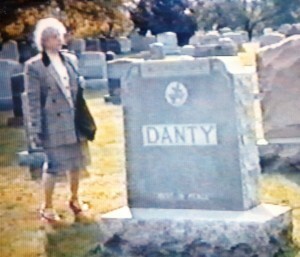 People referred to her as Annie Danty in America. 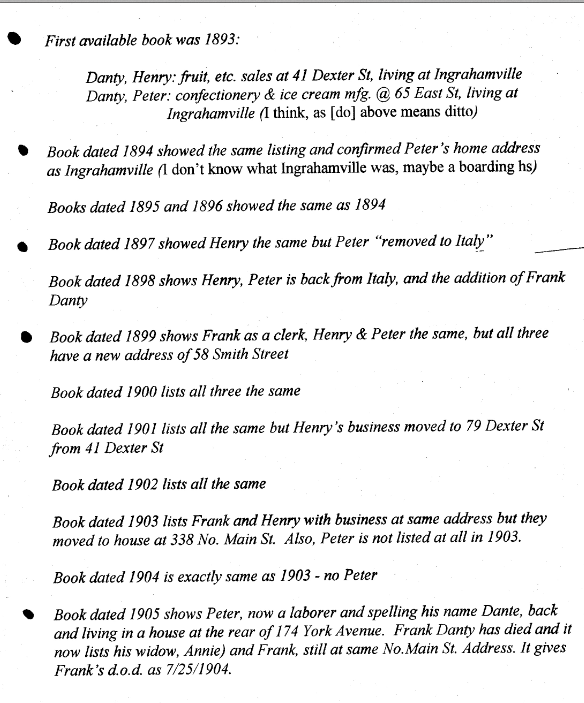 They had several addresses but settled in North Main Street in Pawtucket . She died on May 23rd 1929 at the grand age of 85 years of a celebral hemorrhage. She is buried in Mt. St. Mary’s Cemetery in Pawtucket. 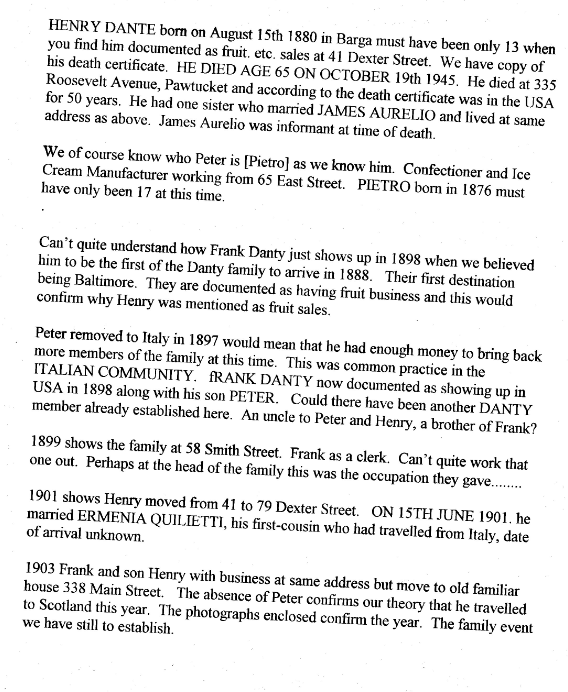 Her father was Giuseppe Brucciani and her mother Theresa Conti. 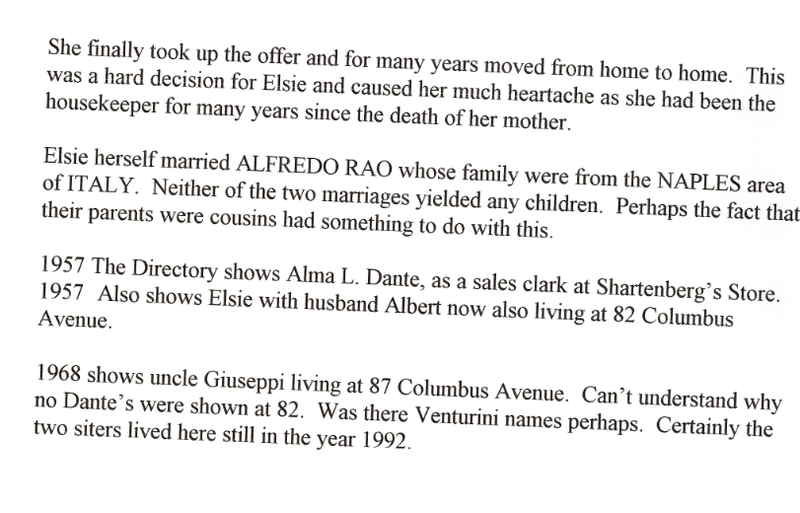 We will remember her with great affection knowing that this Brucciani sister who was a dear aunt to the Quilietti family was the main reason that they chose this part of the U.S.A. to emigrate. Her son Pietro married Ermenia Quilietti, and they were cousins.